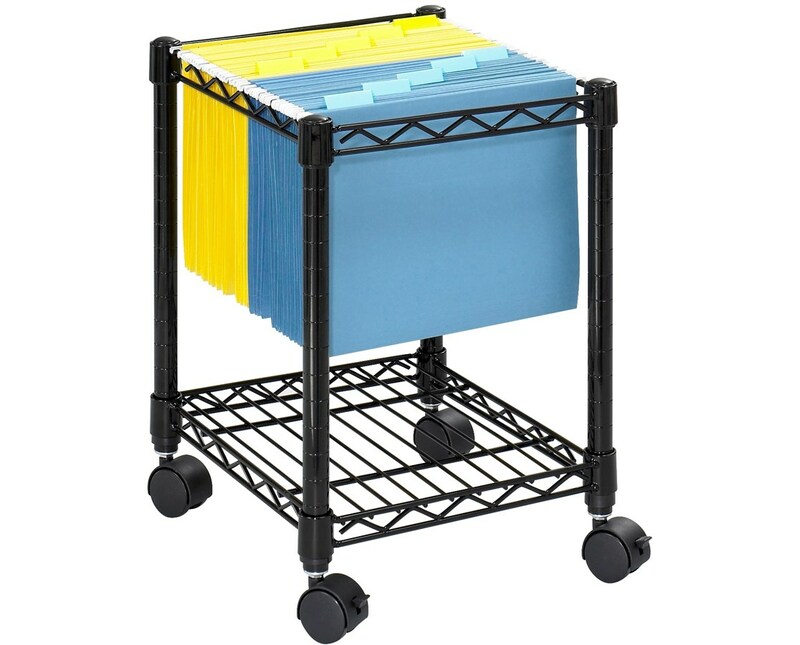 The Safco Compact Mobile File Cart makes organizing easy with its simple yet functional build. It is small enough to be placed under or next to a desk or print station, which makes it perfect for rooms with limited spaces. 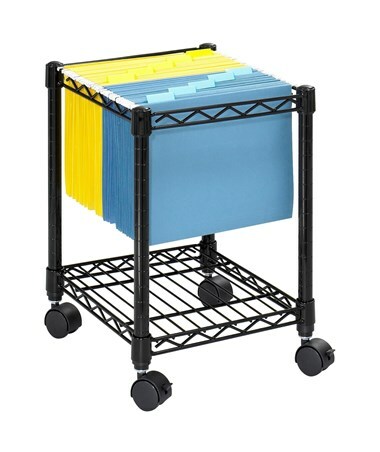 This mobile file can accommodate letter or legal-size folders and can hold up to 300 pounds of weight. It also includes a bottom shelf which can be used as an extra storage space. This file is mobile on four two-inch swivel casters, two of which can be locked to keep the unit stationary. It is made of steel wire and 16-gauge steel posts with a powder coat finish. It is also GREENGUARD certified for indoor use safety.